Andrew is an associate in the Columbia office of Clawson and Staubes, LLC. A native of Columbia, South Carolina, he attended the University of South Carolina (Columbia), graduating with a Bachelor of Science degree as a finance major and political science minor. 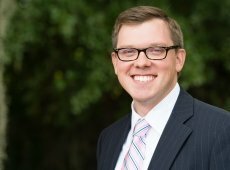 Andrew attended law school in Birmingham, Alabama earning both his Juris Doctor from the Cumberland School of Law and his Masters in Business Administration from the Brock School of Business at Samford University. While in law school, Andrew received the Scholar of Merit (CALI Award) in Mediation Advocacy and was a multiple semester Dean's List performer. Prior to entering law school, Andrew lived in Charlotte, North Carolina working as a property claims service adjuster for America's largest publicly held personal lines property and casualty insurer. He then later worked as an export port coordinator in the commercial shipping industry. Before joining Clawson and Staubes, Andrew worked for a law firm in Columbia, South Carolina representing national and regional financial institutions in matters involving debt collections, mortgage foreclosures, and real property related issues. Andrew's current and statewide practice at Clawson and Staubes focuses primarily in the areas of commercial law, creditors' rights, business litigation, foreclosure, and bankruptcy. Andrew resides in Columbia and his wife, Abbey, and son, Walker. When not working to defend the interests of his clients, Andrew enjoys traveling, Gamecock sports, trying his hand at home renovation projects, playing guitar, and spending time with his family.